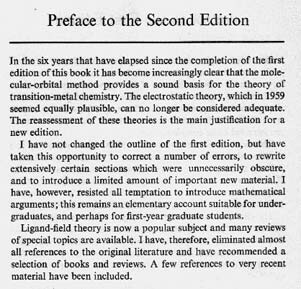 Orgel, Leslie E. - Early Ideas in the History of Quantum Chemistry. 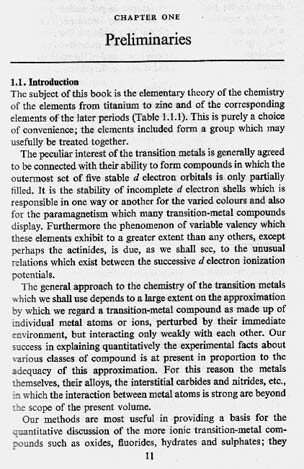 Leslie E. Orgel : An Introduction to the Transition-Metal Chemistry Ligand-Field Theory. Methuen, London 1960. First Published October 13, 1960. Reprinted 1961, 1962, 1963 and 1965. Second edition 1966. Reprinted 1967. Here you find presently (12-2001) Orgel's faculty page at the Salk Institute. ... In 1964 Orgel was appointed Senior Fellow and Research Professor at the Salk Institute for Biological Studies, where he directs the Chemical Evolution Laboratory. He is also an adjunct professor in the Department of Chemistry and Biochemistry at the University of California, San Diego, and he is one of five principal investigators in the NASA-sponsored NSCORT program in exobiology. Orgel also participated in NASA's Viking Mars Lander Program as a member of the Molecular Analysis Team that designed the gas chromatography mass spectrometer instrument. Orgel's work in the Chemical Evolution Laboratory is in nucleotide chemistry and is mainly concerned with non-enzymatic polymerization reactions that depend on the formation of double-helical complexes between a preformed polynucleotide template and one or more complementary mononucleotide or polynucleotide substrates. In the context of chemical evolution, selected templates are employed to facilitate synthesis of complementary RNA sequences. In other work, oligonucleotide sequences are used to direct reactive molecules (warheads) to a complementary target DNA, so as to cleave a crosslink to the target at a predetermined position. Methods for crosslinking transcription factors irreversibly to their DNA recognition sequences are also being developed. His NASA-sponsored research focuses on the catalysis of nucleic acid replication by mineral surfaces. 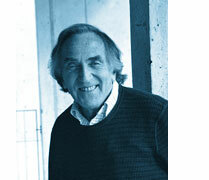 Orgel wrote THE ORIGINS OF LIFE: MOLECULES AND NATURAL SELECTION (1970) and co-authored, with Stanley Miller, THE ORIGINS OF LIFE ON THE EARTH (1974). He has published over three hundred articles in his research areas. Orgel's contributions have been recognized throughout his career. In Britain he was awarded the Harrison Prize in 1957 for his work in inorganic chemistry and elected a Fellow of the Royal Society in 1962. In the United States he received a Guggenheim Fellowship in 1971, the Evans Award from Ohio State University in 1975, and the H.C. Urey Medal from the International Society for the Study of the Origin of Life. He was elected a member of the National Academy of Sciences in 1990. He was a member of NASA's Molecular Analysis Team for the Mars Lander I and II. Dr. Orgel is the recipient of the Harrison Prize, the Evans Award (Ohio State University), and the U.C. Urey Medal (International Society for the Study of the Origin of Life). He was a Guggenheim Fellow and is an elected fellow to the American Academy of Arts and Sciences. Dr. Orgel is a member if the National Academy of Sciences, a fellow of the Royal Society of Chemistry, and a member of Sigma Xi. Dr. Orgel's past NRC service includes terms on the Committee on Planetary Biology and Chemical Evolution and the Working Group on the Search for Extraterrestrial Intelligence. He received a B.A. degree and Ph.D. degree in chemistry from Oxford University. The long-term goal of the research in my laboratory is to understand how a genetic system composed of nucleic acids could have come into existence on the primitive earth. We accept the "RNA World" hypothesis that states that our present DNA/RNA/PROTEIN world was preceded by a "biological" world in which RNA alone functioned both as a genetic material and as a source of functional enzymes (ribozymes). We are interested in studying a variety of polymerization reactions that may have played a role in the evolution of the RNA world. 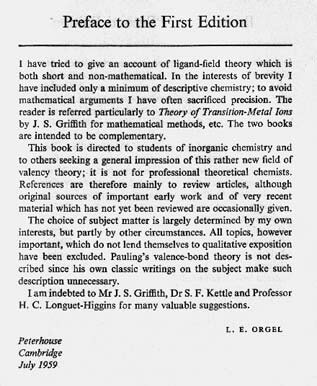 The following article of 1997 by Leslie E. Orgel is a non-QC publication : The Origin of Life on Earth. It may give you a short insight into his thoughts in the RNA field.